This is a Sponsored post written by me on behalf of Curvation for SocialSpark. All opinions are 100% mine. As much as I love looking at gorgeous plus size models, it can often be difficult to know what clothing will look like on myself. Plus Size models are often on the smaller end of plus size and usually only represent the hourglass body type. Did you know that only 8% of plus size women have the hourglass body type? The other 92% of us have to use our imaginations on the possible fit of a garment. I think this is one of the awesome parts of being a plus size blogger. 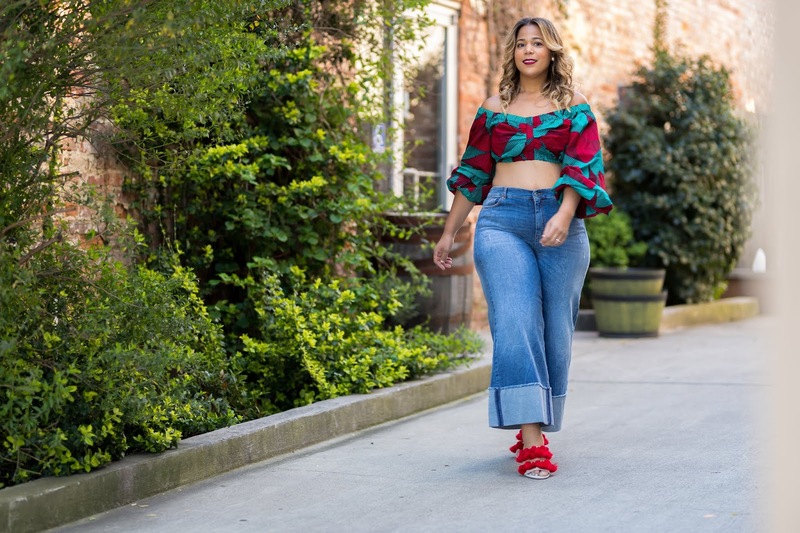 There is a network of plus size bloggers with different body types, different sizes, and different heights that can help us with our shopping choices. 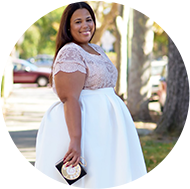 I included one of my Curvation team members, the The Big Girl Blog’s, CeCe, to show how items looked on a different shapes. Doesn't she look fab! The purpose of this post is to take it one step further and get you involved. To truly make this a #lookbookforall. You don’t have to be a model or even a blogger to help another girl shop. Curvation wants to truly make their Pinterest page a Lookbook for all and represent all the different types of plus size women! I’d love to hear your thoughts on how you feel about plus size representation on our shopping sites and what you feel like a campaign like this could do for the plus size shopper. Yes...advertisement, even plus sized, is not diverse. I would see the token plus sized beauty on ANTM and think, "she looks like a regular sized girl to me..." I tell people all the time the key to shopping is trying stuff on. Then one can learn their body in such a way that they can merely look at a garment and tell whether it will work or not. I use this principle online and in-store. I can see how it would be helpful to see real women wear something that's flattering on their body though...It does help people think outside their style box. I know it has helped me over the years. I've actually talk with some staff of major retailers and I have heard that they would love to start using larger models. I think it's a huge step, but if I have anything to do with it I would def like to see that change. very nice! i like how u matched the different outfits! i really got some good ideas! I LOVE this idea and plan to contribute ... I don't see a Lookbookforall page, though. how about the dress and top? I love you by the way!!! Have you lost some weight? I remember you mentioning you are working on getting healthier. So congrats mama!! I love all of your looks!!! I just want to say thank you for giving me hope. As a plus size female it has been hard with me to accept myself in my skin and to feel beautiful in the clothes im in let alone my skin. Now when I shop I feel like I can own these fashionable looks without looking like im a hot jiggly mess in clothes that dont fit or flatter my curves and now i dont have to buy overly big clothes to hide my tummy. Keep doing what your doing because you've changed my outlook and you may change many others and that may just be something that could save someones life one day.